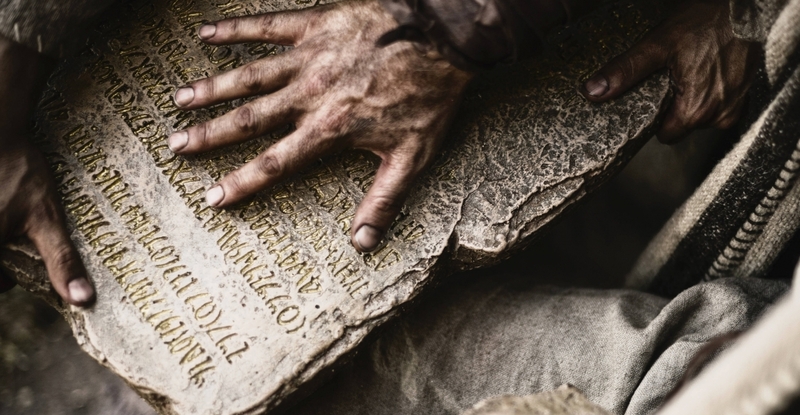 Breath Of Life Daily: WILL YOU BE WATCHING THE BIBLE SERIES? WILL YOU BE WATCHING THE BIBLE SERIES? THE BIBLE SERIES WILL COVER GENESIS TO REVELATIONS IN TWO HOUR SHOWS THAT WILL CONTAIN TWO -THREE BIBLICAL STORIES IN COMPUTER ANIMATION AND LIVE ACTION LEADING UP TO EASTER SUNDAY ON MARCH 31ST . "THE FAITHFUL WILL SEE THE STORIES OF THEIR FAITH. PEOPLE WHO ARE NOT FAITHFUL WILL TOTALLY ENJOY IT BECAUSE IT IS THE GREATEST STORY EVER TOLD"
TONIGHT'S AIRING WILL BE THE STORIES OF NOAH AND MOSES. FOR MORE INFORMATION SEE THE EPISODE GUIDE.